Why would I need self storage in Fresno, CA? There are a variety of reasons why you might need self-storage in Fresno, CA. How much is a storage unit in Fresno, CA? The cheapest storage unit in Fresno, CA is $59.00 per month. What size storage units do you have available in Fresno, CA? In Fresno, CA we have sizes that range from 5'x5' to 10'x28' to suit your storage needs. How much is it for a 5'x5' storage unit in Fresno, CA? The cheapest 5'x5' storage unit in Fresno, CA is $59.00 per month. Fresno, California, is one of the largest cities in the nation, located about halfway between San Francisco and Los Angeles. 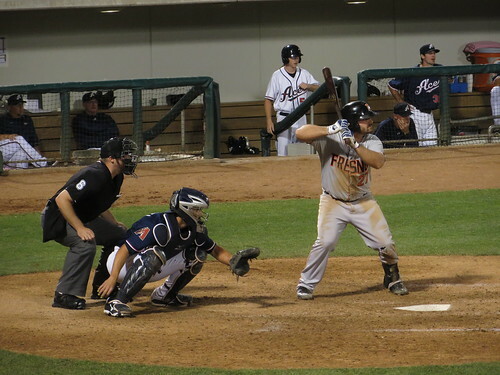 It's home to the Fresno Grizzlies, a minor league branch of MLB's San Francisco Giants, and the Fresno State Bulldogs are another very popular team. Fresno has an impressive number of cultural attractions, including the Saroyan Theatre, Fresno Grand Opera, and a host of local theater companies and art museums. The city is also the only American city surrounded by three national parks: Kings Canyon, Yosemite and Sequoia. Fresno earned the attention of prospectors during the California Gold Rush and initially was formed as a county in 1856. The city was named for the large numbers of ash trees –"fresnos" in Spanish–, growing in the area. In the 1870s, Fresno's population began to grow significantly when it became a station on the Central Pacific Railroad. Farmers and ranchers arrived in droves, attracted by Fresno's excellent land and sunny weather. Many of them were immigrants, and this is reflected in Fresno's ethnically diverse population today. In 1875, Fresno became the unlikely birthplace of America's raisin industry when a farmer accidentally let grapes dry on his vines. For decades, agriculture has been the backbone of Fresno's economy. Hundreds of crops including grapes, cotton, tomatoes and lettuce, have created a multi-billion dollar agricultural industry in Fresno. Other diverse industries, including food processing, computer software, and glass and plastic manufacturing, strengthen the city's economy. Also, its close proximity to San Francisco and Los Angeles has helped it cultivate a growing convention industry. You'll find a variety of jobs in a range of industries in Fresno, with a number of both white collar and blue collar options. Some of the city's largest employers are several medical facilities and post-secondary educational institutions. Downtown Fresno has the highest concentration of historic buildings in the city, located mainly in the Fulton Mall, one of America's first pedestrian malls. You can see a variety of art installations, including a rare Renoir casting, at the Fulton Mall. The Tower District is known for its diverse collection of local businesses, including eclectic restaurants, boutiques and nightclubs. This area is known as a hub for Fresno's music scene, specifically the punk and heavy-metal communities. Many of the large homes in the Huntington Boulevard area date back to the early 20th century, with several well-preserved examples of Arts and Crafts architecture. The neighborhood is known for its lively Christmas celebration, centered on the country's largest living Christmas tree. The Sunnyside neighborhood has recently experienced a huge jump in new home construction, attracting many new residents to the area. The Sunnyside Country Club is also located in this neighborhood, providing a lush course for golf lovers to enjoy. The Fresno Unified School District serves most of the public schools in Fresno, including elementary, middle and high schools. You'll also find a handful of private schools to choose from, most of which are faith-based. Fresno is home to a number of both public and private post-secondary institutions, with California State University, Fresno being one of the largest. If you're seeking a two-year degree, public community colleges in the area include Clovis Community College and Fresno City College. Utilities: Pacific Gas & Electric is the main power provider in Fresno, and the city of Fresno manages public water and sewer. Garbage and Recycling: The city of Fresno provides regular pick-up of trash, recyclables, and green waste. Transportation: Bus service is the single form of public transit provided in Fresno, with the Fresno Area Express (FAX) connecting the Greater Fresno area. Fresno offers a range of properties to suit all tastes and budgets, from the luxurious family homes in Old Fig Garden to the compact apartments and condominiums of Central Fresno. The busy Tower District is ideal if you're looking for something surrounded by shopping, dining, and entertainment. Our lowest priced units in Fresno, CA average $59.00 per month. 125 people have reserved units in Fresno, CA in the past 30 days. There is 1 location within Fresno, CA's city limits.